The time for talking is over, and the time for action is now. A global survey by ServiceNow finds that 9 out of 10 CIOs are moving fast to automate their business processes. Most of the discussions around artificial intelligence, machine learning and intelligent automation tends to occur under the conceit that the changes anticipated by their adoption lie off a few years away as part of some future scenario that we really don’t have to worry about just yet. The latest evidence that this is not true came this week from ServiceNow, the cloud software company that specializes in helping companies get simple things done. The company surveyed CIOs in 25 industries across 11 countries for its Global CIO Point of View and found that about half of them are already using some form of machine learning and another 40 percent have plans on the board to adopt it. That adds up to a total of 89 percent of CIOs who have already adopted machine learning or who say they’re going to. I talked about the survey with Dave Wright, ServiceNow’s chief strategy officer, and Chris Bedi, its CIO, who told me that among their customers, the talking phase is over, and the doing phase is underway. “We’re seeing a lot of action from the first movers in this area. They’ve already implemented something, they’re doing things with it, and seeing results,” he said. One of the earliest and best-understood promises of automation has always lied in cutting out old, slow systems used for deciding how to prioritize and act on work. Whether it’s support tickets or security alerts, precious time is lost in deciding how to act on something, and more importantly, exactly who should act on it. More than half of the CIOs in the ServiceNow survey said that these routine decisions are eating up a meaningful amount of employee and executive time in their organizations. “Meaningful” isn’t a number, but here’s one from another source: An estimate by Accenture found that in the case of front-line customer support functions, at least 12 percent of the time required to reach a decision is spent on routing the ticket to the right person. And that time has value — 69 percent of the CIOs in the ServiceNow survey — said they hoped that using automation to speed up those decisions would contribute to top-line growth. We’ve reached a point when machines can rank, route and categorize tasks faster and with a higher degree of accuracy than humans can. It’s important work, but for human it can get boring fast, Wright says. 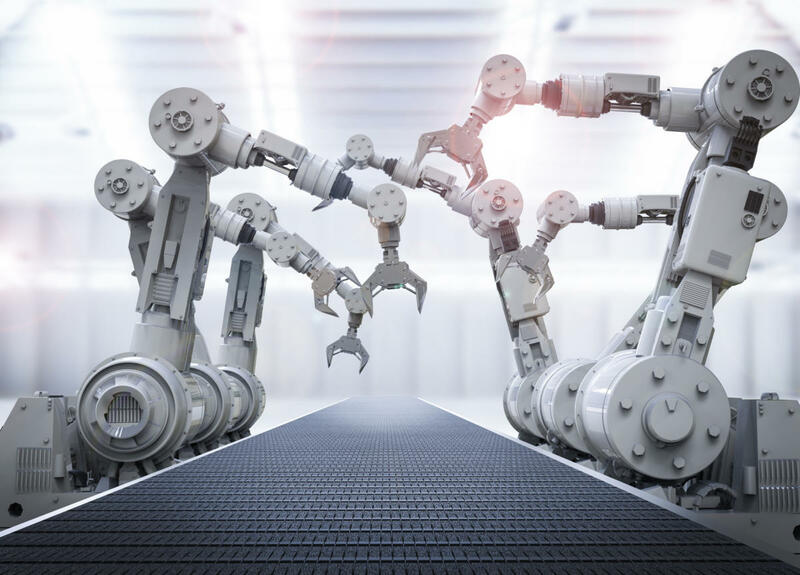 By adding automation to the mix, he said, companies can promote the people in those roles to jobs doing more valuable work, or have them work more efficiently in tandem with a machine that speeds up the existing process. The next step, he said will be in going beyond this kind of sorting tasks to prescribing and recommending responses. “The systems will start looking at the issues and suggesting how they should be addressed,” he said. “It will know what the issue is and then based on how much confidence it has, suggest the solution that works most of the time.” Sometimes a machine may do this alone, or in cooperation with a human. This is all great, but there’s one big thing that’s missing: People. Specifically people with the data science smarts required to design and implement these intelligent automation systems. On that front ServiceNow said this week that it will start adding machine intelligence to the next version of its platform. The company is best known for its System of Action, a cloud based application that streamlines the step-by-step procedures for accomplishing thousands of the routine but necessary tasks in HR, IT, finance and other departments that occur in tremendous volumes at large companies. By ServiceNow's reckoning can add up to as much of 40 percent or two days of a five-day work week. Its first machine learning capability, dubbed Agent Intelligence, will be part of the next version of the application, known as Kingston, due later this year. ServiceNow says it will automate how work gets categorized, prioritized and assigned, faster than teams of humans. And it will be easy to deploy without the need for an expensive and difficult-to-hire team of data scientists. Early trials by customers found they could speed up their response by an average of 8 percent. They also reported that Agent Intelligence scored within a few points of their human teams for accuracy in categorizing tickets. An internal test by ServiceNow on its own support functions found it to be 95 percent as accurate as humans, and saved 315 hours of human labor in the process. A major retailer who tested it saw accuracy rates of between 97 to 99 percent. As if to prove a point, Bedi is leading an effort inside ServiceNow to whittle that 40 percent of the week devoted to administrative tasks down to 30 percent. "We want to get that 10 percent back," he said. For a 5,000-person company that will add up to a million work hours a year. ServiceNow will do this he said by doing what it does for its customers: "It's digitizing processes. It's automating decisions. It's across IT, HR, marketing, sales, facilities, everywhere. It's a target-rich environment." One added dimension: ServiceNow departments are competing to see who can cut the most to reach the goal. "No one wants to be behind the IT department," Bedi said. All of this only adds further weight to the case that automation is coming whether we like it or not. The financial and economic incentives are simply too compelling for companies to ignore it. For one thing, there’s the competitive concerns. The company who doesn’t embrace automation will be at a disadvantage against its rivals who do. Then there’s the more fundamental economic pressures: For all the talk of new technologies driving efficiency and productivity, historically speaking, workers productivity in the U.S. is growing at a historically low rate. That fact has firms in every industry under tremendous pressure to boost their output by whatever means necessary. This is why the when it comes to AI and automation, the future really is now. Arik Hesseldahl has been a tech reporter for more than 20 years. He's now an analyst, consultant and columnist focused on how technology trends are affecting every industry.